First script reading for KBS2 drama series “Queen For Seven Days” (English title), starring Yeon Woo-Jin, Park Min-Young & Lee Dong-Gun, took place April 7, 2017 at KBS Broadcasting Station in Yeouido, South Korea. The first reading took about 4 hours to finish. 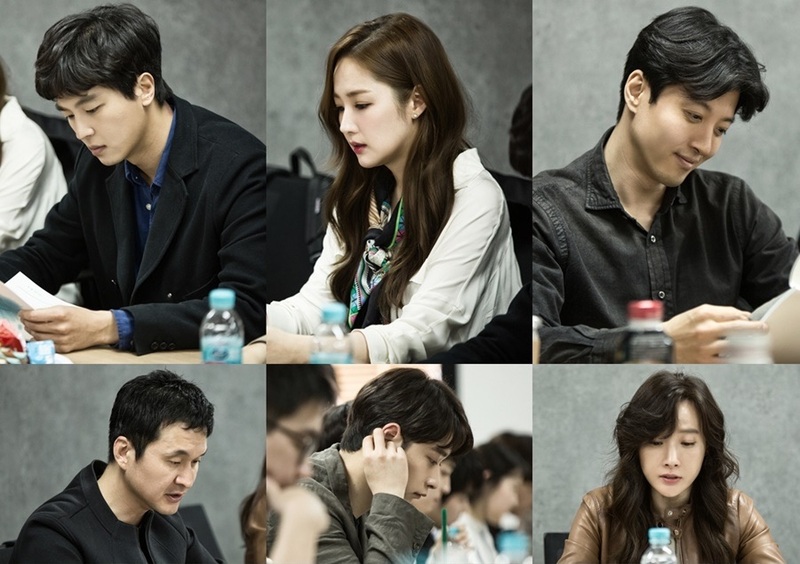 First script reading included main cast members Yeon Woo-Jin, Park Min-Young, Lee Dong-Gun, Chansung (‘2PM’), Jang Hyun-Sung, Do Ji-Won, Son Eun-Seo, Kang Shin-Il & Park Won-Sang. For the first script reading, Yeon Woo-Jin read the lines for his character Lee Yeok. He is the center of two storms. Park Min-Young read the lines of her character Shin Chae-Kyung. Her character eventually becomes Queen Dangyeong. Lee Dong-Gun read the lines for his character Lee Yoong. He expressed his character with a cold voice, intense gaze and hinted at madness brewing underneath. “Queen For Seven Days” first airs May 31, 2017 in South Korea.